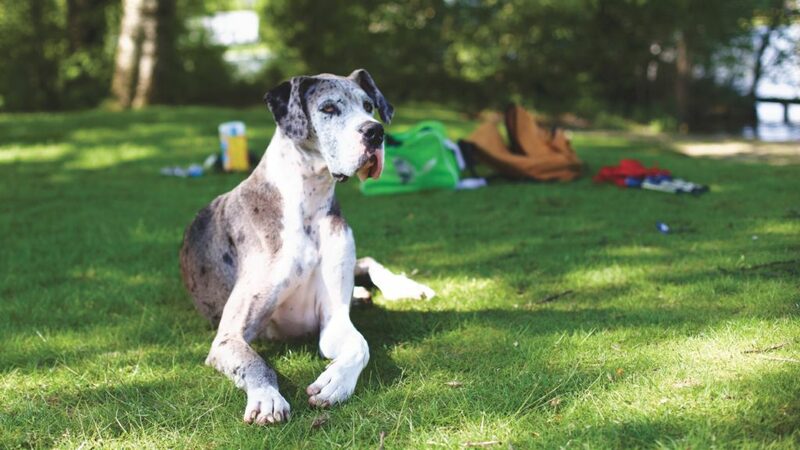 Westown Veterinary Clinic works closely with Great Dane breeders, handlers and rescue organizations, providing a unique opportunity to treat a great deal of bloat torsion cases as well as perform a large number of preventive gastropexy procedures. A gastropexy is a surgical procedure performed in order to prevent Gastric Dilatation and Volvulus (GDV), commonly called torsion or bloat. GDV is a life-threatening condition where the stomach flips or twists, trapping air and gases in the stomach. Circulation to the spleen and stomach are cut off, causing the dog to go into shock and, if untreated, die. During a gastropexy, the stomach is attached to the abdominal wall, so that it is unable to twist. practitioner with extraordinary experience performing gastropexy surgery, Dr. Vivek provides his patients with the same high-quality and preventive results. Although torsion does not affect every large, deep-chested dog, when it does, it is an acute and deadly condition that if not treated in time usually results in death. For this reason, we highly recommend this procedure to all of our at-risk patients as a preventive measure.